Right now I have a goal of continuing to meet my 10,000 steps even though it's wintertime. It's hard and I've only succeeded once this month, but I'm still working hard to get there. I also have a goal of daily exercise that helps me feel good and break a sweat. With the colder weather I've been trying harder than ever to combine the two. I've been trying to get a significant amount of steps in while working out. Anyone who watches their steps can tell you that it really isn't easy to do sometimes. 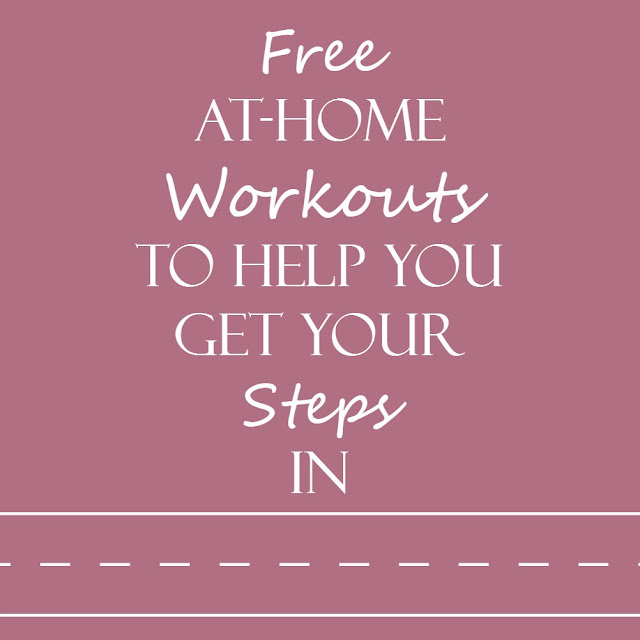 Luckily I've found some videos you can watch on YouTube that will get you anywhere from 1,800-3,000 steps in less than an hour--and still leave you feeling good. An extra bonus is that most of these exercises are low impact so they are perfect for days where you're just not feeling so motivated--I've had a lot of those days lately. So I'm just going to tell you right now that I LOVE KeairaLaShae! She's positive, she has a good time while she's working out, and she focuses on positive motivation. This 38 minute workout is definitely one of her lower impact workouts, but there are still some intense parts to it--you'll definitely feel it the next day and you'll break a good sweat. This workout claims to be three miles, but I've never registered that on my tracker. I tend to get around 2,500-3,000 steps when I do this one. I also really like Jessica Smith. She never focuses on making your body fit a certain look or making changes for physical-she's positive and she doesn't reveal herself in her dress. She's seems classy. This 30 minute workout isn't as intense as the one listed above, but it's still intense enough to get your heart rate going and to challenge you. You should expect around 2,000 steps for this workout. Jane Fonda currently gears her workouts to an older generation so they are very low intensity-even the ones that claim to be high intensity. These workouts will ease you into exercise and make you feel good about yourself. I love Jane's attitude-she focuses on all of the health benefits of exercise. This is a perfect workout for days when you're lacking motivation. Yesterday was one of those days for me and I did this while I spoke to my mom on the phone. You can increase the intensity of this workout by adding a pair of hand weights to do the arm motions with--that's what I typically do. You can expect around 2,300 steps after completing this workout. Do you have any at-home workouts you love? I'd love to check them out.